I’m often asked by travel bloggers who are starting out how I manage my time whilst overseas, especially since I tend to travel for long stints of time before having a few days or week off at home in Tasmania. When my blog started taking off I travelled for a full 12 months, so I soon learned how to blog while you travel the hard way: jumping in head first! The first four-five months taking this approach lead to burn out, which escalated in South Africa when I was taken to hospital for exhaustion and juiced up with an IV to refill my body of everything it was missing out on. After that scare I pledged to take better care of myself, come up with a better plan to blogging (rather than just working round the clock to take photos, edit photos, video, edit video, check-in, check-out, train, plane, bungy… you get the deal. 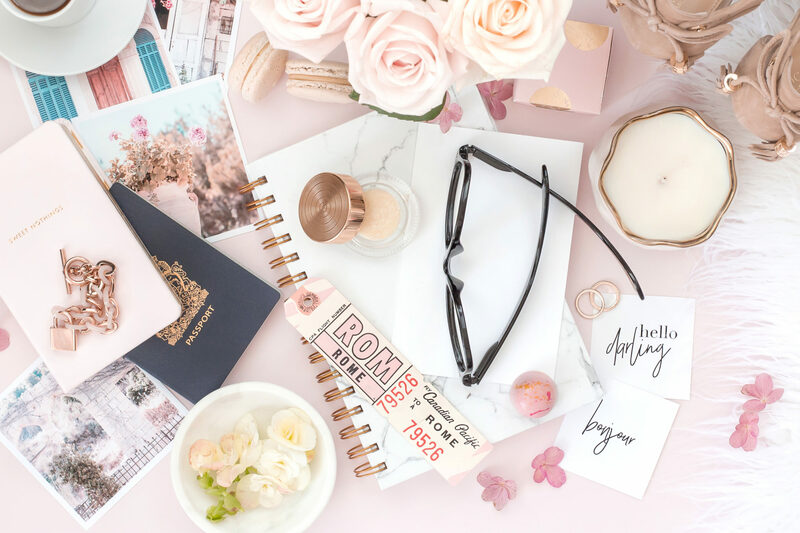 So after a few years of blogging I think I’ve finally found a routine that works… and I’d love to share it with you to let you know how I travel upwards of 80% of the time and still maintain my blog, socials, and keep up with the business side of blogging overseas. I’m sure you’ve heard this one before… but for the sake of clarification, lets take a deeper look into my #1 philosophy when it comes to blogging full time whilst you travel. Whilst building a successful blog takes a lot more hard work than people will ever likely realise (or credit you for), it is important to remember that the only useful measure of success is to ask yourself: how much am I enjoying this? Lets put the stats and figures aside for a second and remember what truly results in a successful blog: your own enjoyment. Its pretty simple. If you are having a good time, your readers are having a good time reading about your good time. If you are unhappy, overworked or lacking inspiration, this will (regardless of how hard you type away on the keys of your keyboard) seep through your posts and readers will know. Be sure to work hard, yes. But also have fun! One thing I didn’t do enough of when I started out blogging was to live in the moment and just appreciate that moment for what it would be if I didn’t have a blog to share that moment with thousands of readers across the globe! When you start thinking about the workload and start writing for the sake of writing, your blog stops being about you and your journey and you lose sight of what is important. So be sure to take time to smell the roses… or the dandelions! As I travel most of the time and hardly have a day “off”, I decided the answer was to rise early, answer emails quickly over breakfast, explore all through the day, and return early in the evening to write about what I had just enjoyed and experienced. Writing is a completely personal thing but for me, I work best when my experiences are fresh in my mind – right on that day, to be exact! One thing I’m not proud to say I was guilty off in the early days of blogging was starting to take it all too seriously, too quickly. Whilst I’m extremely proud and humbled by what I have built in the short space of a few years, I can’t express enough how important it is to never take yourself or your brand too seriously. The minute you start to prioritise work over having fun (so much that you become anxious about your workload) is when things start to go pear-shaped. At around the same time I burned out in South Africa, I realised I was trying too hard to create something that took time – and in order to grow organically and effectively, I needed to give it the time it so needed. Blogging while you travel full time is never the same day twice, just as travelling in general is never the same day twice. As mentioned earlier I am quite strict on myself to ensure I write about my experiences at the end of each day when they’re fresh in my mind, but some days I don’t feel like writing at all. On these days, I simply explore, experience, and enjoy. No more – no less. Some times I won’t write about these days for weeks or months to come… but by taking lots of photos I can always spark my memory of everything that happened that day! 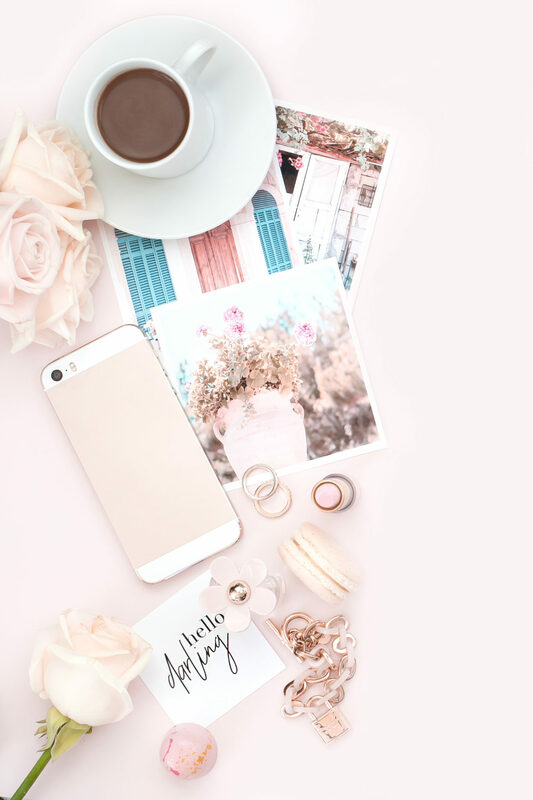 Over the last few years blogging I would say the biggest hurdle I overcame that has saved TONNES of time and effort once getting it right, was investing in the right gear to take the photos I wanted and stay on top of the business side of blogging online. For my photography gear I have settled with an Olympus PEN E-PL7 for video blogging and an Olympus OM-D EM-5 Mark II for photography. I use a tripod to take my photos (yes I take my own photos!!) and a mini tripod if I’m trying to be inconspicuous! I also travel with a few 32GB memory cards, batteries and chargers. For underwater photography I use a GoPro Hero 3+ with an underwater housing. I keep my post-editing process pretty simple, relying on iPhoto and iMovie for basic edits and PicMonkey for graphic design. For blogging gear I use an Apple Macbook Air as it is light and easy to travel with, as well as an external hard drive to store all my photos and videos. I also never travel without an external phone battery charger – a life saver now that Snapchat has been invented! Over to you! Have you struggled with Blogging while you Travel? Please leave any questions and comments for me to answer below! What mini tripod do you use for your camera? I’m on the hunt for a good one! Love this post!! really usefull!! Thanks for sharing!! In my opinion is a axcellent idea write a blog while you are traveling because thus the followers could know your opinion about the place that you are visiting and get information. Thank you so much and love this post !!!! It’s been now 5 months I started my blog and I definitely recognize myself in the “head in grindstone” syndrom lol !!! I’m also doing a travel blog, and I definitely don’t want to loose my freedom and the way I enjoy my traveling, wild and free, for a blog. Still kind of struggling on this point, but your post is really helping : just take it easy. And be patient (a quality I don’t have and I must work on !!!). Thanks B. As usual, your blog is full of inspiration for me !!! Fantastic tips Brookes. I just bought a travel journal to at least write the highlights of my day even if I don’t get to blog straight away. I’ve struggled to balance blogging and travel in the past but some of these tips were really helpful, especially because I have a trip coming up. What a great and very honest post. I love how slick and fresh you blog and writings are. We have been travelling for 7 months and are finding blogging and travelling a hard task. Finding interesting and inspiring things to write about is a constant battle. Thanks so much for the tips Brooke! I completely agree with the “play hard, work hard” mentality. You won’t have something to write about if you don’t get out there! I find that I get more work done in a cafe then at home or in a hotel room. I try to find some time, whether it’s only an hour or an extra day in a destination, to find a cute local cafe and get work done. Investing in great camera equipment to cut down on post-production time is such a great tip. I’m always blown away by how long it takes to work with my pictures. Automation is your friend! This is great! I try my best to always edit the photos at least and write a few notes after every day to not forget about the experiences! Still sometimes manage to go behind on the blogging log but always trying to catch up next travel. Oh this is so what I needed to read right now! I’m one of those travel writers and bloggers who always promises myself I’ll write the whole story on the road, and then get there and want to experience it all rather than miss out to hunched over a keyboard. The amount of times I’ve gone from ‘this time i WILL write every single night’ to ‘when will I be back in Cappadocia? !’ are too many to count. BUT I am about to go base myself in Berlin for six months and will be on the road travelling three weeks out of four, so I absolutely must do that work in my hotel / on the plane / on the train / anywhere I can. I’m trying to train myself to be more of a digital nomad by forcing myself to blog only on mobile devices before I go, rather than coming to the comfort of my lovely big iMac (as happy as I am to do social media and notes on the mobile devices I usually wait to do the feature blogs until I’m home on my Big Computer). So this was such a great one for me to read right now. Thank you for the inspiration, and for sharing. Since I’m new to the whole travel blogging game, I’ve been wondering how exactly to balance travel and work while abroad. What do you do when you’re traveling and there’s no wi-fi to post? I don’t really struggle with blogging while I travel, but I struggle with blogging while I work full-time. You sometimes get so exhausted during the day and it takes time and practice to find the balance… and then when you go on vacation or have weekend trips and have to go to work the next day, it’s even harder. Awesome Brooke! Ive been following your blog for years and was always amazed at how you kept posting every single day it seemed! I recently went to Europe and only found time to write every few days because you don’t realize how much effort goes into blogging when your 24hr day is cut into maybe an hr window? It’s hard to set out time to write a read worthy post! Thanks for the tips! I’ve been worrying a lot about traveling with friends in June and how I can still continue to get work done when we are in Europe. Do you have any advice for these instances? Great tips. We definitely spend too much time working on ours and I’m only learning to cut it down after the one year mark. Do you find it hard to keep up with posting daily? Also do you think its worth it for seo purposes? Trying to convince my fiance to help me post more often but he’s not convinced! Thanks for keeping life interesting. Keep on keeping on. Hey Brooke! As always, this is super helpful. I’m about to embark on my own travel journey for my blog and was growing anxious over how to balance travel and work, but this totally grounds me, thank you! I am still a travel blogger newbie so there are a lot of things we can learn. Thanks for sharing. Thank you for providing such great insights into your world — really great to learn about your work schedule and how you make it all look so easy! Anybody who can build a successful business and travel full time deserves recognition! I’m impressed with your work ethic. My blog suffers from lack of consistency but I am hoping to make a detailed plan and stick to it! Very impressed by your work ethic! Keep up the work because I am loving the content here on your site! Great tips! I find it hard to blog while I travel but I always manage to get it done. I think because I am really excited to share my thoughts and travels with my readers. But I will say its involved late nights haha. I do say that if I’m not done by midnight I’ll call it a night wherever I am at. I’ve learned that if I keep working past that hour, then I will be dangerously tired for the next day. I think it’s different for everyone and you should definitely set rules for yourself that you know you’ll thrive on. I’m wondering how do you make sure that you have access to internet? Do you rely on going to public places to use WIFI there to edit your pictures and write your blog or do you get a ‘internet stick’ for your laptop from that particular country you are in? Hi, Brooke. I do have some questions about the business of blogging, but it’s not exactly about the schedule. Is there any specific action that worked well to increase your traffic in the beginning? SEO, guest blogging, etc? Which one do you think it was the best to increase your audience? 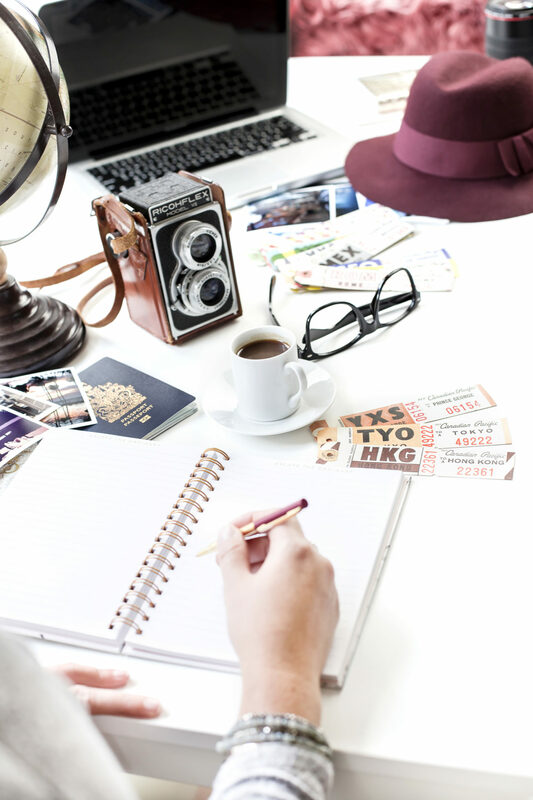 In the beginning, do you think it’s best to write sporadically while you travel and focus on promoting your blog or always dedicate your time to keep writing more content? Is there anything specifically you think that helped the most your blog to take off? Thanks a lot!! I’m impressed how you are handling blogging after your burnout! Just my opinion it makes sense how you do this and I do it in a similar way during traveling. Thanks for sharing your experience!